It all started over 50 years ago when Mrs Myrtle Allen invited guests to 'Dine in an Irish Country House' and opened the Yeats Room restaurant in her family home serving fresh seasonal produce from her husband Ivan's 300 acre farmland. 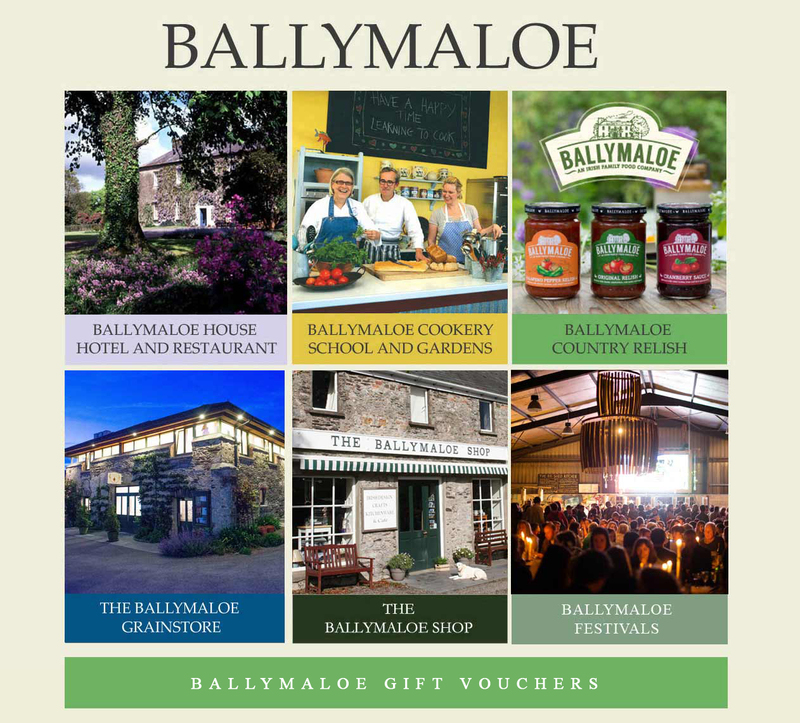 Ballymaloe House is still run by the Allen family. Myrtle Allen's philosophy for using natural ingredients from the farm and local area continues to earn Ballymaloe House and related Ballymaloe businesses world recognition as the best places for food in Ireland.